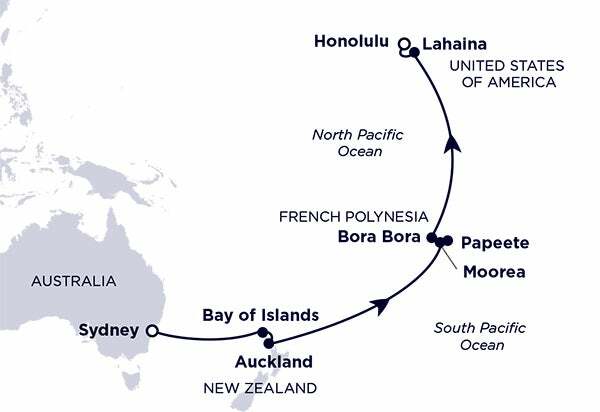 Sail to Honolulu aboard the magnificent Celebrity Solstice and enjoy 2 nights in Honolulu with hotels, transfers and flights included. *All pricing, savings & inventory advantages are correct as of 03/09/18. Savings amounts are based on comparisons with Celebrity’s best available pricing. OBC (On board credit). **Prices are valid for flights ex Sydney. Add $240 per person for flight ex Melbourne, Brisbane or Adelaide. Add $380 per person for flights ex Perth. All prices listed are in Australian Dollars , are per person on a twin-share basis and are subject to change and availability. *Prices are valid for flights ex Sydney. Add $240 per person for flight ex Melbourne, Brisbane or Adelaide. Add $380 per person for flights ex Perth.